Fire Captain Dan Ripley began his career with Lincoln Fire & Rescue in February of 2004 as a firefighter. His most recent assignment is Company Officer of Engine 3 in downtown Lincoln, Nebraska. He has been a member of the DHS-FEMA Urban Search and Rescue Team - Nebraska Task Force 1 since 2004. Dan currently serves as a logistics manager and has been deployed to disasters such as Hurricanes Katrina and Dean, the Moore Oklahoma Tornadoes, and the Boulder Colorado Floods. 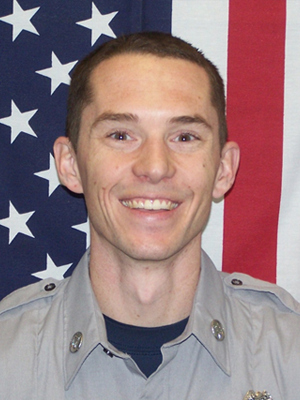 Before beginning his fire fighting career, Dan earned his Bachelor’s degree in Fire Protection and Safety Engineering Technology from Oklahoma State University. Captain Ripley has served as an adjunct instructor for the Fire Protection Program of Southeast Community College in Lincoln, Nebraska and has served on many IFSTA validation committees including: Fire Protection Detection and Suppression Systems and Facilities Fire Brigades. Dan has also participated on the Nominations & Elections Committee and the Delegate Selection Committee. Dan was first elected to the IFSTA Executive Board in 2017 and is currently serving on the IFSTA Fire Inspection & Code Enforcement validation committee.